Created multiple standard sku’s for Fellowes. 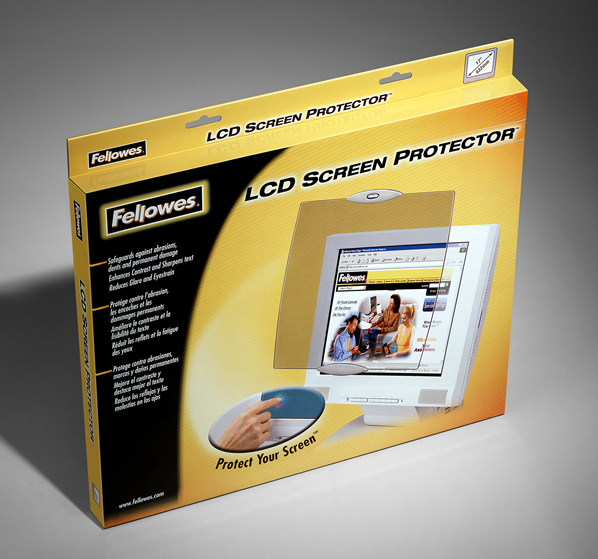 The LCD Screen Protector packaging was designed to reflect a premium product. Fellowes at the time, was marketed as an economy brand. This product was a venture into a higher priced market.